Rubix Plyometrics is a unique 12 Week Plyometrics Program, that incorporates strength and conditioning aspects to improve explosive muscular power. Rubix Plyometrics is a training system that focuses on fast, powerful movements to improve functions of the nervous and muscular system. 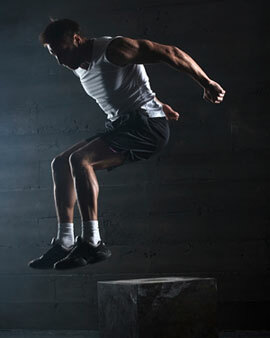 Plyometrics are based upon the concept whereby the muscle is stretched (loaded) before it is contracted. Enhance athletic ability using this form of training system in activities requiring explosive movements such as basketball, dance, short distance sprinting, high and long jump, volleyball, football, hockey. Each plyometric program is periodised and custom tailored to each individual athlete for sports specific training and event preparation. In Depth Movement Screening and Health Assessment Included.